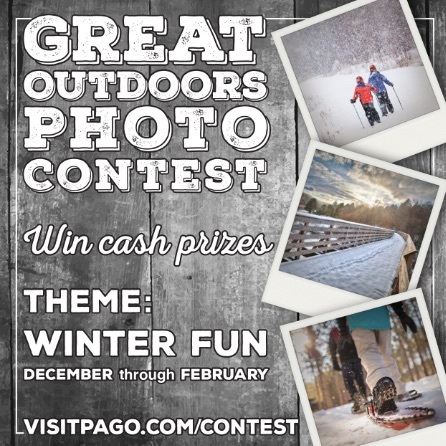 On December 5, the PA Great Outdoors Visitors Bureau announced it is now accepting entries to their new Winter Fun Photo Contest. The deadline for entries is February 28. The only requirements are the photo meet the contest theme-- Winter Fun December Through February-- and must be taken in Jefferson, Elk, Clarion, Forest, or Cameron Counties. Finalists will be posted on VisitPAGO.com with the four entries with the most votes receiving the following: 1st Place $100, 2nd Place $75, 3rd Place $75, and 4th Place $25. Online voting will be March 13-19, 2019. 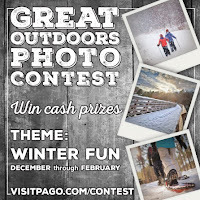 To enter, complete the entry form and upload your photos to the Winter Fun Photo Contest webpage. The PA Great Outdoors Visitors Bureau is a membership-based travel promotion organization serving five counties in northwestern Pennsylvania: Jefferson, Elk, Clarion, Forest, and Cameron.